TIP 1: Rub on the bottom of your feet or big toe (or your spouse's feet) to help reduce or maybe even stop snoring or to help with sleep apnea! 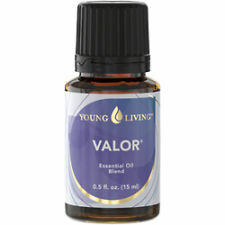 TIP 2: Use Valor as a carrier oil for other oils. Rub it onto your feet or chest or wherever you will be applying the other oil first, wait 10 minutes (if you can) and then apply the second oil. Valor will help carry the other oil to the problem faster! TIP 3: Watch this YouTube video to see how amazing Valor can be for carrying oxygen to your blood cells! TIP 4: Helps relieve anxiety, depression and panic attacks when rubbed into wrists, back of neck, over heart or behind ears. TIP 5: Apply to back and neck before a chiropractic adjustment to help hold your adjustment. BONUS TIP: Rub Valor on joints for arthritis relief. PROPERTIES of Valor include: antibacterial, antispasmodic, antidepressant, hormonally balancing.